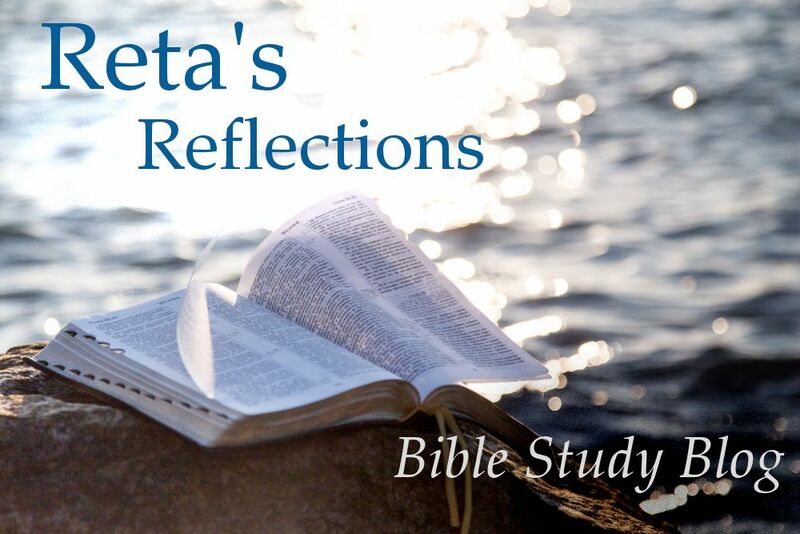 Since Bethany is very close to Jerusalem, it is likely that Jesus stayed with these sisters and their younger brother Lazarus when he visited Jerusalem—thus his intimate friendship with them before the crisis of Lazarus’s illness. oil on canvas, by Johannes Vermeer (1632-1675). In 2008, I was asked to preach a Lenten sermon for my local congregation on John 11—the death and raising of Lazarus. While preparing, I returned to my home community in eastern Pennsylvania to visit my dad and a precious lifelong friend. Thelma had been my spiritual mentor ever since I stayed in her home while teaching Vacation Bible School one summer at age15. I loved her deeply, and on our last visit we spent a sacred hour together. 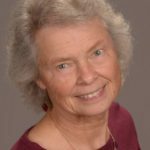 At 80, she was dying of cancer, but she was learning to let go and be at peace. Leaving Thelma, I knew I would never see her again in this life. I did not expect Jesus to raise her as he had raised Lazarus. If we are older than 8 or 9, we know that dead persons do not come to life again. What then can we learn from a story about a man pulled out of his grave alive after four days? Is it a story of hope? Or is it only a legend conveniently omitted by the Synoptic Gospels? We’ll save those questions for later. For now and into the next lesson or two, let’s enjoy the author’s literary artistry and observe how this story fits into the Gospel’s overall plot. 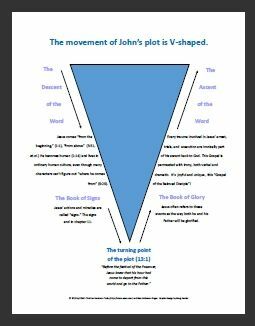 Remember from Lesson One that the structure of this Gospel is V-shaped. The first half of the V denotes the “descent of the Word” into human life and is titled “The Book of Signs.” Jesus’ miracles are signs pointing to his identity as the Wisdom/Logos who existed “from the beginning” (1:1). The Lazarus event is the last and most spectacular of Jesus’s signs. The plot pivots on this story. Ironically, after this all signs cease, and Jesus begins his descent into suffering and death—which, in a double irony, becomes “The Book of Glory,” his ascent back to “the Father.” In John 11:1-57, the author will highlight favorite literary techniques: words with double meanings, ambiguity, riddles, irony, and the method of statement-misunderstanding-clarification we saw in previous lessons. When our son Ted was three years old, we ordered a book for him which inserted his name, Teddy, as the main character in the richly illustrated story. It began something like this: “Teddy was very excited because, fortunately, he was going on his first airplane ride! Unfortunately, the plane had an accident, and Teddy fell out of the airplane. Fortunately he landed on a haystack. Unfortunately, the haystack had a pitchfork sticking in it. Fortunately, Teddy did not land on the pitchfork.” On and on went the emotional peaks and valleys. The book is long gone, but if I remember right, the literary Teddy eventually was rescued and lived happily ever after! A similar chain reaction occurs in John 11:1-16, but first note the setting. Jesus is now a fugitive. After a verbal confrontation in 10:22-38, the Jerusalem Jews try to arrest him. Fortunately, he escapes across the Jordan River to safety at the place where John had been baptizing and among common people who warmly accept his message (10:39-42). 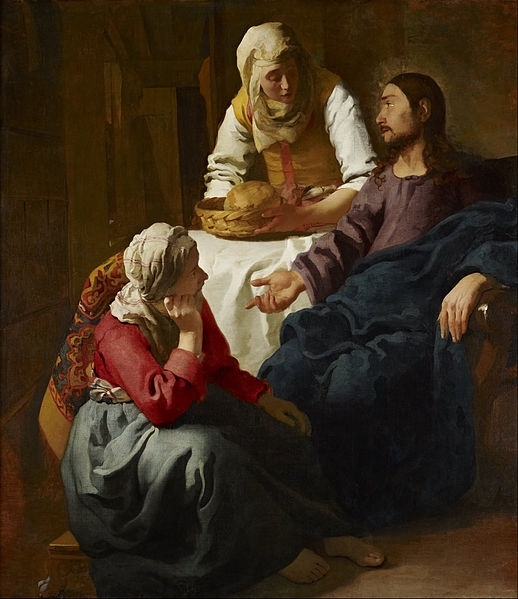 But unfortunately, Lazarus, brother of Mary and Martha of Bethany (two miles from Jerusalem), becomes ill. Fortunately, his concerned sisters send a message to Jesus, begging him to come to the rescue. Unfortunately, when Jesus hears it, he says, “This illness does not lead to death,” so he stays where he is for another two days. “No,” says Jesus. “Unfortunately, Lazarus is dead. But it is fortunate for your sake that I was not there, so that you may believe.” …Huh? This rather bizarre banter between Jesus, who is “in the know,” and the disciples, who are “not in the know,” establishes both verbal and dramatic irony that will pervade the story throughout. Almost everything Jesus says is misunderstood by the disciples. They hear what he says on the surface level, whereas he is pulling them to an opposite, deeper level. For Lazarus, to be asleep is to be dead, but to awaken him is something the disciples cannot imagine. Instead, Thomas predicts that all of them are going to their own deaths if they return to Judea. In what sense is Thomas right? 1. Search through verses 1-16. Where does Jesus clarify the meaning of his enigmatic statements, and where does the author let the audience figure it out for themselves? 2. Which disciples in this text appear to be the most intimate friends of Jesus? 3. Have you ever experienced the terror of losing a beloved family member or friend and getting no immediate help?